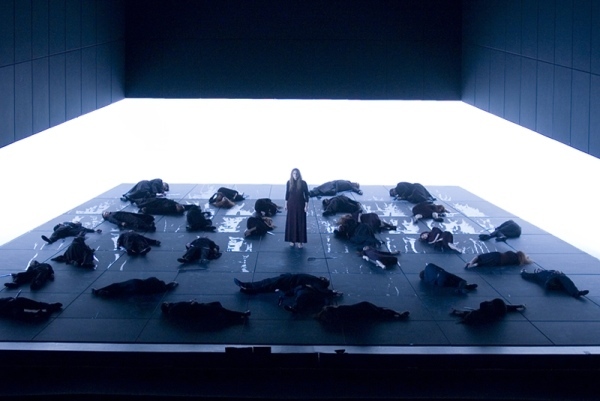 The first comes via CBC Radio 2’s Saturday Afternoon at the Opera, which broadcasts the Canadian Opera Company’s critically praised production of Christoph Willibald Gluck’s 1779 masterpiece, Iphigénie en Tauride, featuring American mezzo Susan Graham in the title role. Her Orestes is Toronto’s own treasure, baritone Russell Braun. The rest of the cast is a who’s who of up-and-comers, including baritone Philippe Sly, who won the Montreal International Voice Competition in June. The conductor is returning COC guest Pablo Heras-Casado, who has a particularly deft way of accompanying the voice. Gluck left his stamp on the opera world with the directness of his dramatic intentions, creating a model for what we call modern opera — and laying path that leads straight to Richard Wagner. It should make for gripping listening. The emotional roller-coaster takes off at 1 p.m., Eastern. For background information and listening online, click here. Gustav Mahler channelled his operatic impulses into his symphonies, turning them into something much larger than exercises in thematic development for orchestra. Edward Elgar did the same for oratorio, subtly (and often not so subtly) filling his scores with dramatic emphasis with the use of repeating musical motifs and flexible tempos. Here, again, Wagner comes into the picture, but as an inspiration rather than a result. The resulting music can be very dense and, at the hands of the wrong conductor, a forbidding wall of sound rather than a conduit to a higher aesthetic plain. The performance by the London Philharmonic, involving huge forces, was brilliantly led by Mark Elder. The BBC has made The Apostles available for streaming on demand for the next seven days. I challenge you not to be seduced by this music by the time its two hours are up. You’ll find everything you need here. Former Toronto Symphony Orchestra music director Jukka-Pekka Saraste is at Royal Albert Hall on Sunday night (that’s 3 p.m. Eastern) for a performance of Arnold Schoenberg’s something-like-a-cantata Gurrelieder. This is early Schoenberg, so, in case you don’t know the 90-minute emotional ride through 14th century Denmark, it’s tonal. Here again, Wagner’s shadow hovers over the proceedings, which involve substantial vocal forces, this time accompanied by the BBC Symphony. Fabulous German soprano Angela Denoke is making her Proms début as she sings the part of Tove, the doomed mistress of medieval Danish king Valdemar IV. If you miss the live performance, it will be available for on-demand listening for seven days. Check it out here.